Female shooters: You’re ready to pick up your first (or perhaps next) firearm – whether it’s for self-defense, home-defense or recreational and competition shooting. If a pistol is what you’re after, a 1911 is a great place to start. Before you begin the purchasing process, consult this quick-hit guide. What considerations should a female shooter make when picking out a 1911? When it comes to shopping for your next go-to pistol, women have a lot of options. From choice of caliber, to selection of size to picking out performance, there are plenty of things to keep in mind. 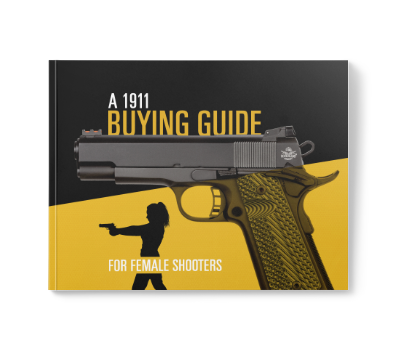 If you're ready to buy, complete the form to download the free "1911 Buying Guide for Female Shooters."